Chrissy Teigan dragged this recipe off straight off of a Sports Illustrated photo shoot. She told me herself. 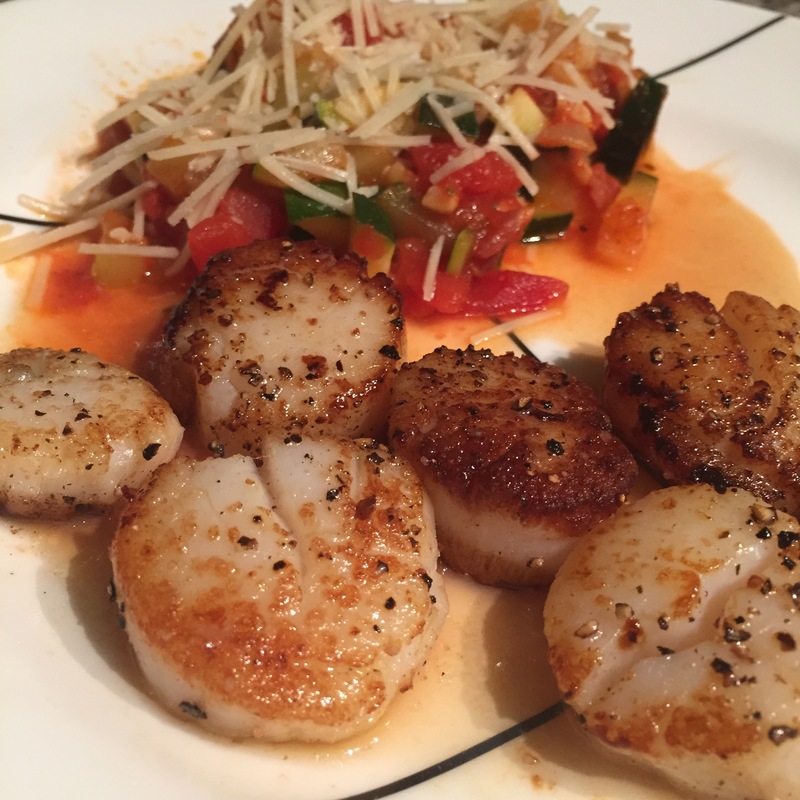 Spearfishing for scallops in designer swimwear is tough, but it sure does burn calories – which comes in real handy as this recipe features both butter AND oil. Lucky arteries. Actually, it was really delicious and stupidly simple; I’d make it any time. Chrissy says to pair it with a warm corn salad, but swimwear and carbs aren’t friends for me, so I made a batch of ratatouille. Oh, and this recipe demands some crusty, French bread to soak up the buttery run-off. Pretend you didn’t hear that and resist. RESIST! Naked and afraid. Straight off the beaches of Bali, Chrissy caught these. The darker the scallop, the sweeter the juice. That’s how that goes, right? The crispier ones were certainly tastier. Note to self. The finished product for a butter-slicked (sorta?) healthy meal. 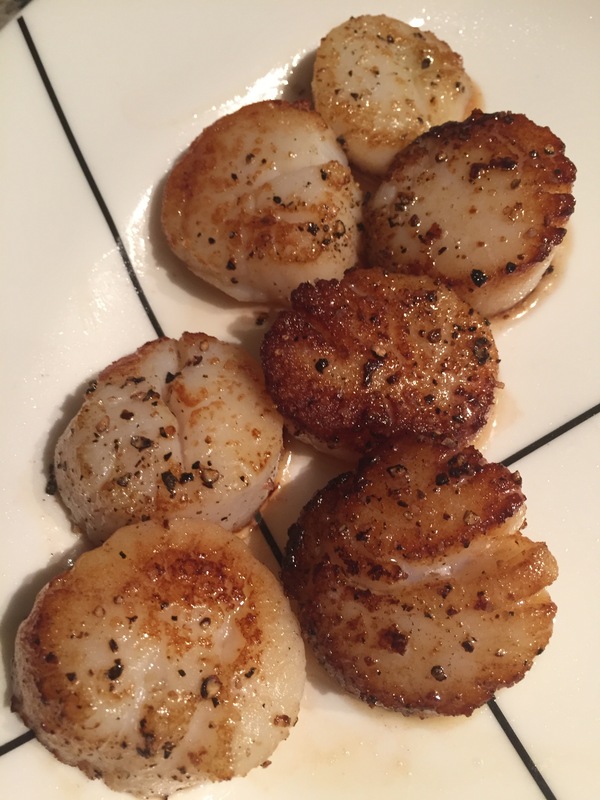 Pat scallops dry with a paper towel, so they carmelize, not steam. Salt and pepper one side. Heat oil, then add butter into a cast iron skillet. Melt over medium-high heat. 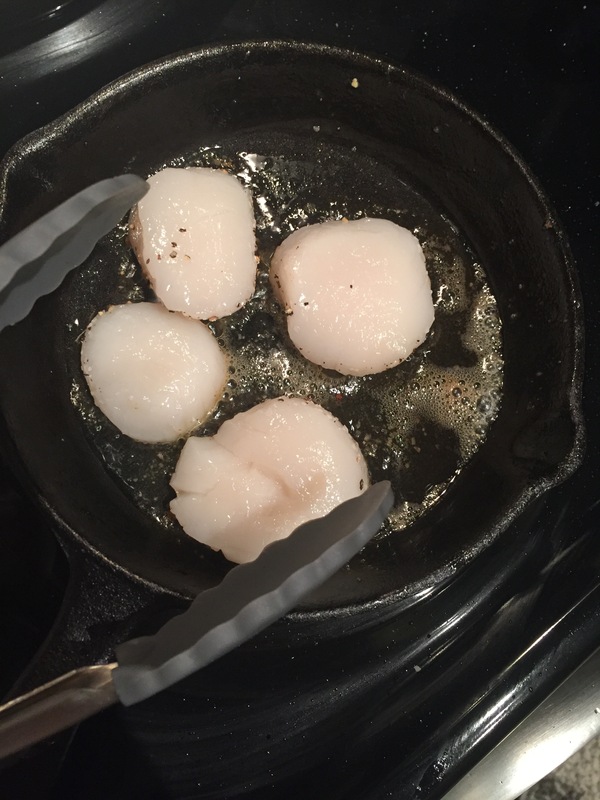 Add scallops to the skillet, seasoned side down. Cook for 2 minutes. DO NOT MOVE THEM. Delicately, pat the top of the scallop with a paper towel and salt and pepper the naked side. Flip scallops and cook for another 2 minutes. VOILA. How easy is that? Does spear fishing work on scallops? I’d think the little bits of shell getting into everything would make a mess. It does; I just tried it.